120 Under 40 Webinar: "Building Trust One Tweet at a Time: Using Digital Media to Build a Strong, Credible Brand in the Public Health Sector"
In this interactive webinar, a panel of skilled communications professionals shared experiences and insights into building a powerful personal and organizational brand, in the name of providing accurate, impactful health information and resources to the public. Special emphasis was placed on the tips and techniques for using digital and social media to advance family planning, reproductive health, women’s and girls’ health and rights, and public health. 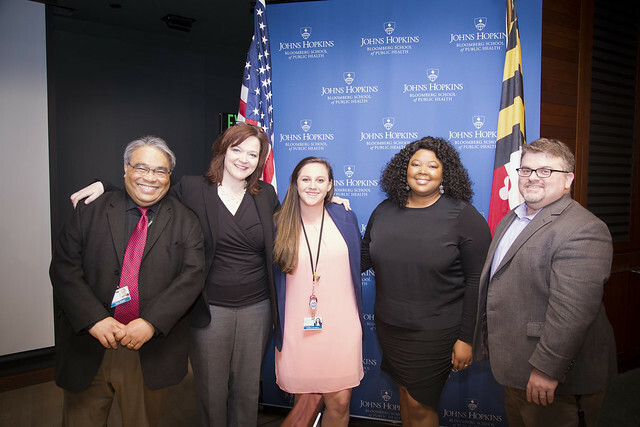 The webinar took place at the Johns Hopkins Bloomberg School of Public Health before a live audience, and was livestreamed via Facebook Live on 120 Under 40's Facebook page. The recording of the webinar can be viewed below, and on the 120 Under 40 Facebook page.